Mique made this fun printable card for friends just in time for Easter. Even though there are cute bunny ears on the front, I really think you could get away with giving it all year round. 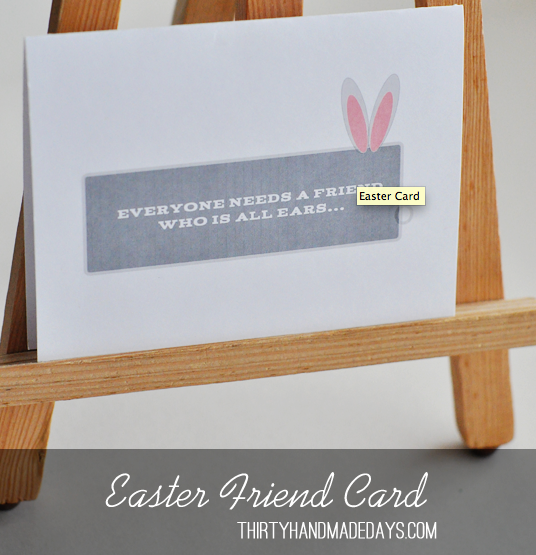 You can download the free printable friendship card over at Thirty Handmade Days.